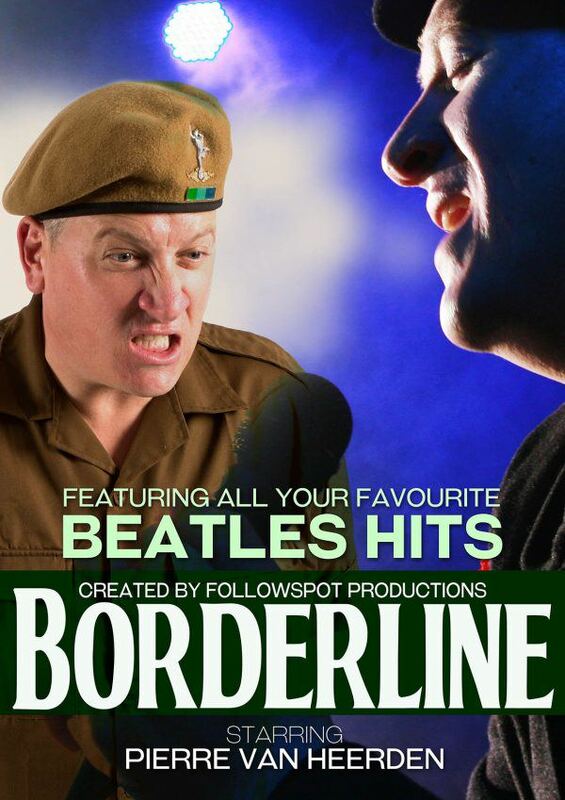 BORDERLINE – Featuring all your favorite Beatles hits! It is arguably true that time spent in national service has receded in the memories of many in South Africa. However, Borderline brings it back in vivid colour – the loss of home and loved ones, the indoctrination and deliberate obliteration of individuality during basic training, the fear and horrors experienced in action, and, yes, the intense camaraderie which flourished in such adverse circumstances. Somewhat tongue in cheek, this piece takes an entertaining look at one naive young man’s journey through this rite of passage and how the infectious and inspirational music of the Beatles kept his heart and soul together as his perceptions of the world changed. Borderline, directed by Vanessa Harris of Followspot Productions, was inspired by her father Dr Steve Harris’s experiences during basic training in the 70s. These were captured in a segment of his book Impimpi which was published in 2014. Please note that The Studio Theatre has NO disabled facilities. There are STAIRS to climb. The performance runs 1hour 5mins with no interval. There is no age restriction but babies in arms or prams are not permitted. Theatrics Club members pay half price @R82.50 Check out our awesome Theatrics Club program here! Amazing Grace 2 Goodbye Alhambra, Hello Alhambra!